Athens, Ga. – The University of Georgia School of Law announces the Butler Commitment, a new initiative that will guarantee financial aid to 100 percent of veterans who matriculate in the fall 2019 entering class. Cutline: The University of Georgia School of Law announces the Butler Commitment, an effort to guarantee financial aid to 100 percent of veterans who matriculate in the fall 2019 entering class. 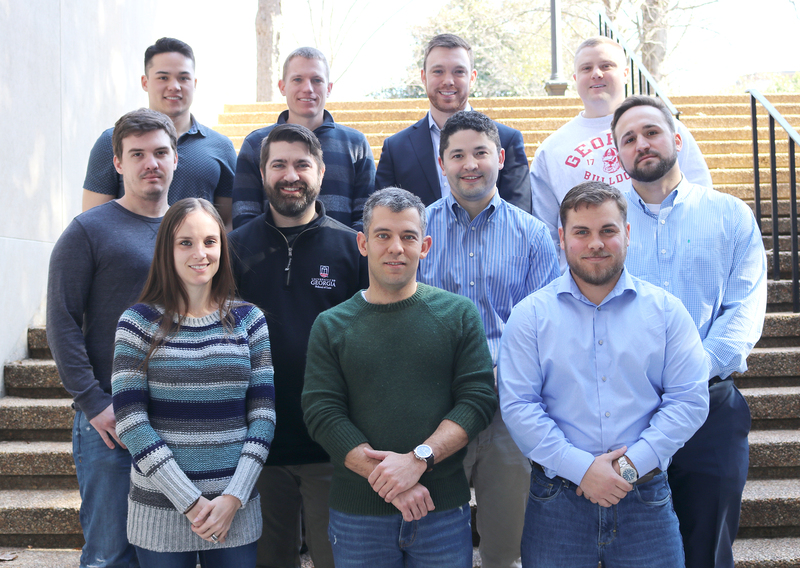 Veterans currently enrolled at the law school include: (back row, from left) Nicholas A. Mugge, James Heuser, Steven L. Miller, Miles B. Mitchell, (middle row, from left) Richard Meadows, Gabriel Justus, Louis A. Bastone, Jacob R. Bohn, (front row, from left) Ashley Marie Ho, Patrick D. Testa and Michael Robert O’Brien.